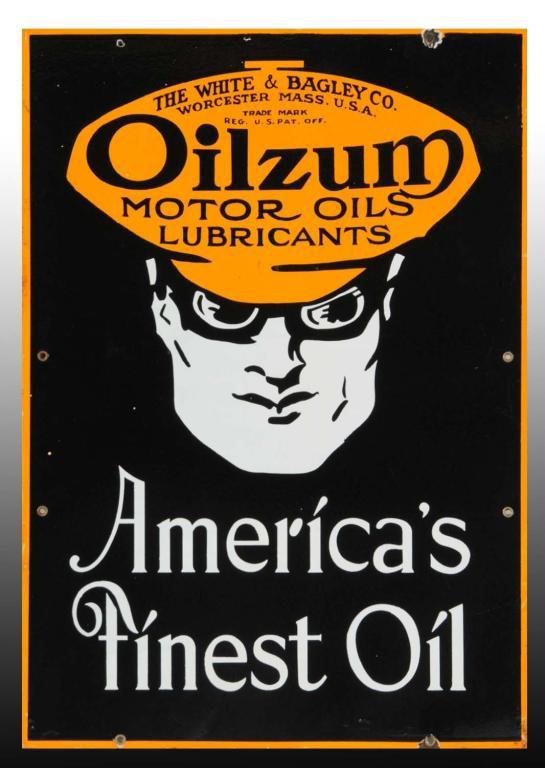 This is a rectangular Oilzum Motor Oils porcelain sign. This particular Oilzum Motor Oils sign is black with white text. It reads, “Oilzum Motor Oils Lubricants, The White & Bagley Co., Worcester Mass. U.S.A., America’s Finest Oil” and features a man wearing a yellow cap in the center.